We use cutting pliers to cut zipper teeth when we install zipper, yes so do I, but it is too slow and sometimes it will break the cloth. This tool was made by 2 pieces of stainless steel breakers for No.3 and No.5 zipper with a base. 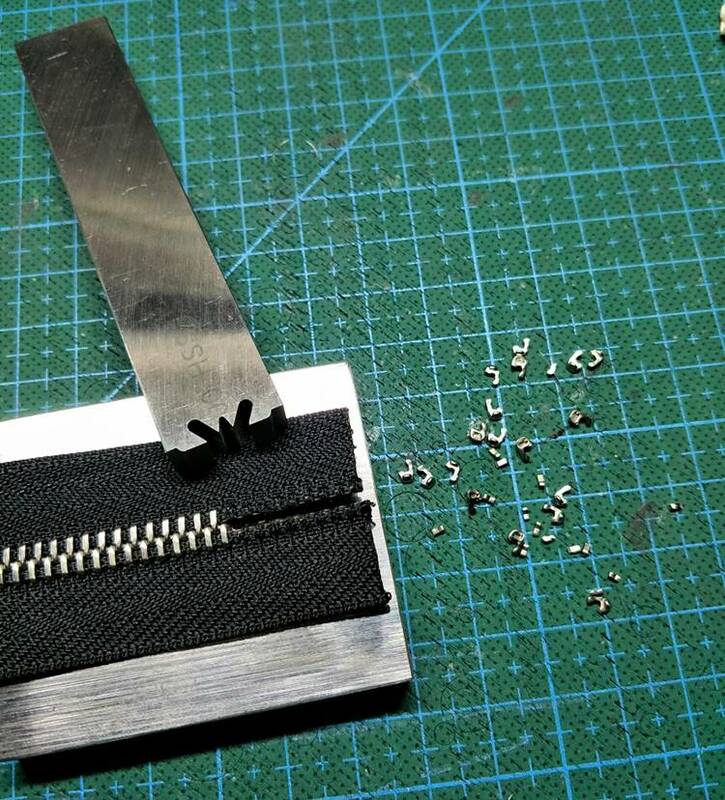 Use the breaker to shoot the closed zipper teeth into pieces, it won't hurt the cloth.